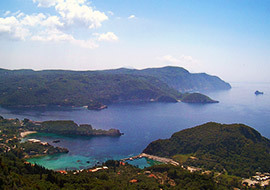 Placed 25 Km North West from Corfu town, Paleokastritsa is one of the most picturesque and stunning places of the island. 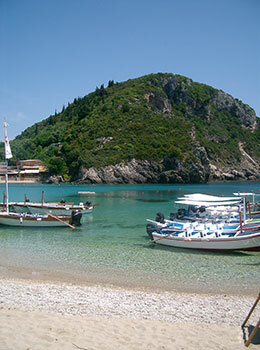 Paleokastritsa is constituted by two small peninsulas which permit the tourists to choose between six different bays where they can relax and swim. 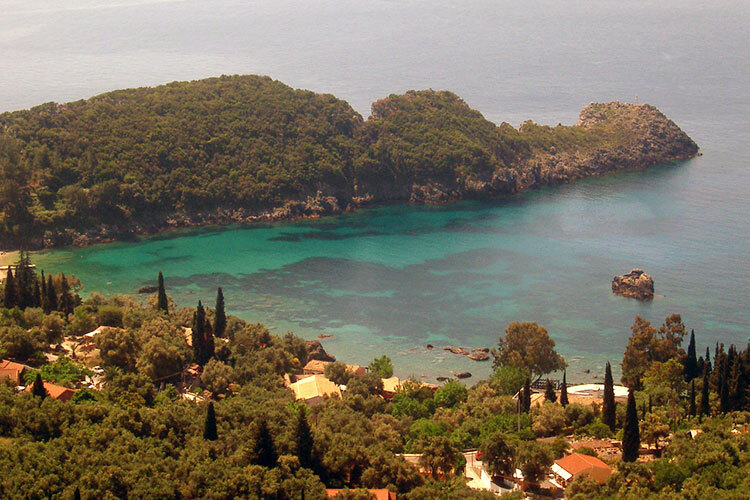 Here the water of the sea assumes amazing colours from blue to green; for this reason Paleokastritsa is one of the best places in Corfu for snorkeling. 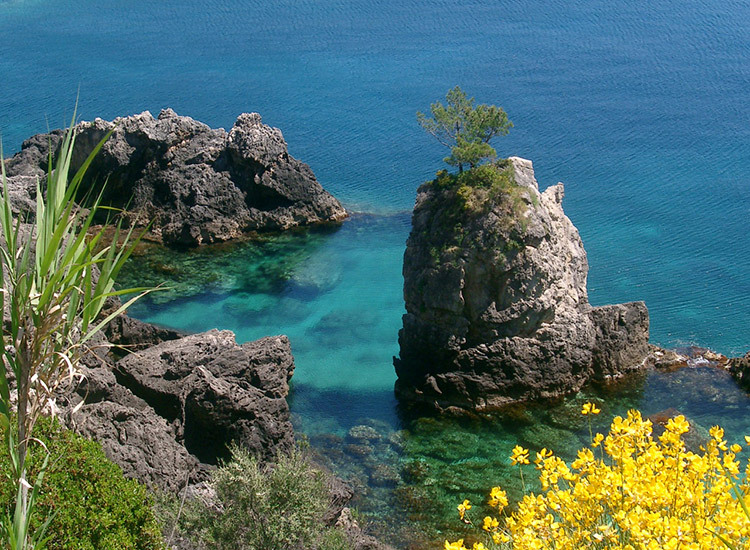 We suggest you not to miss a swim near Skialoudi small islet, just in front of Paleokastritsa which is also a great diving point. 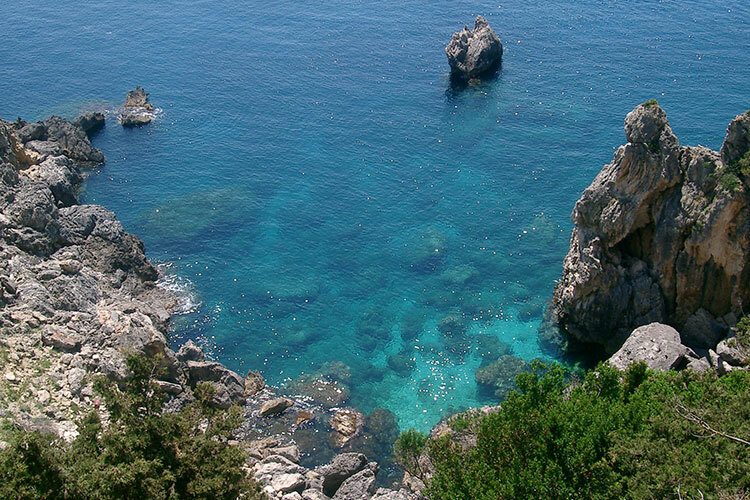 It’s possible also to visit Nafsica caves and St. Nicholas caves, or just ask someone to take you by boat in a lonely beach where you can find privacy and relax. 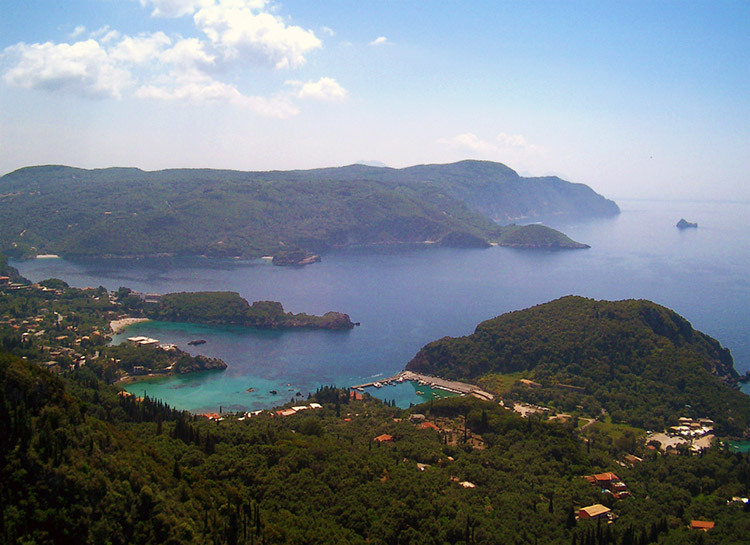 Moreover there is the possibility to drive along an amazing panoramic road and to admire from the top all Paleokastritsa area. From this road you can see all together the six different bays, the two peninsulas and the Mediterranean nature that together with olive and lemon trees goes down into the Greek sea. 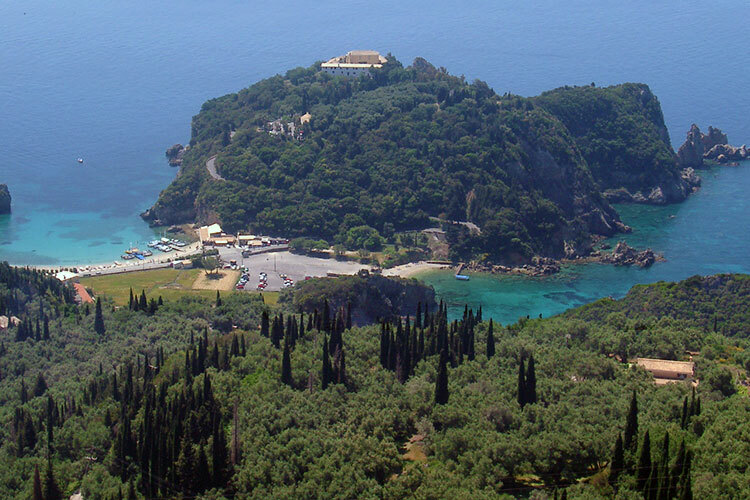 In Paleokastritsa you can also visit a beautiful and old monastery placed on the top of a little promontory. For more information about this monastery you can visit churches and monasteries under the history and culture section of our site.